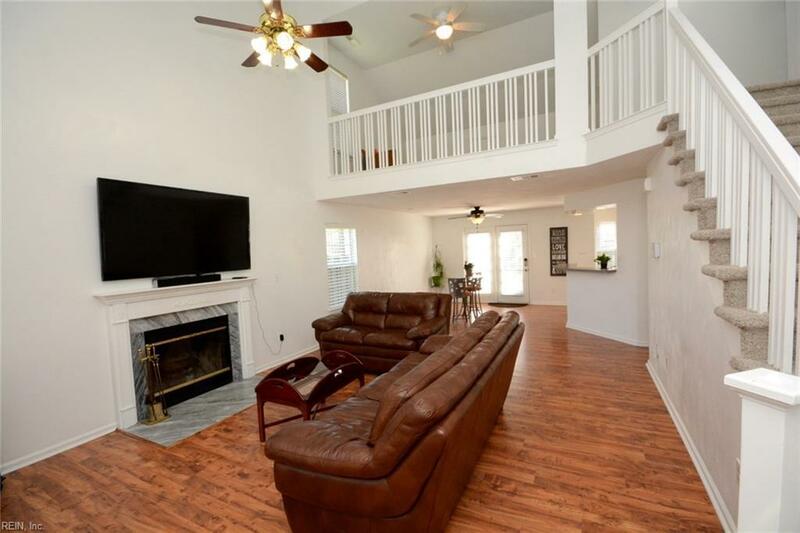 Impressive 3 BR, 2.5 BA plus loft (can be 4th BR) in sought after Christopher Farms Elementary School District. 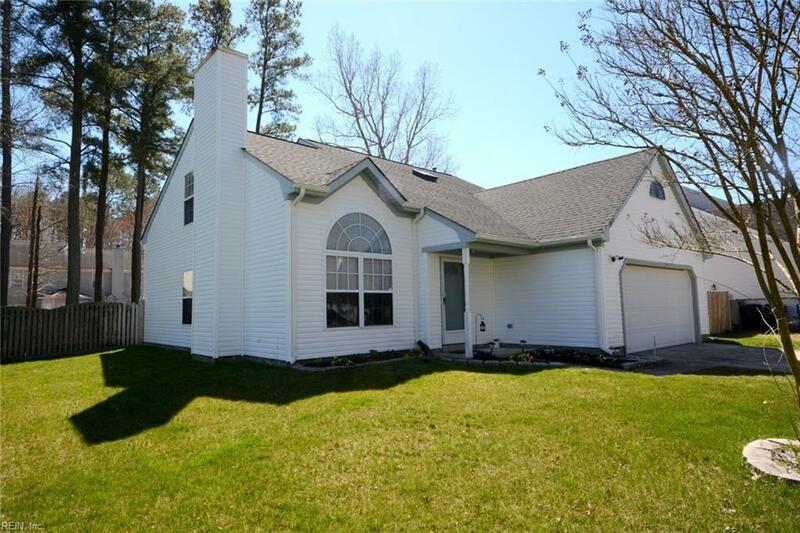 Home is move in ready w/new carpet upstairs & in 1st floor master BR. Home features first & second floor master BR both w/walk-in closets, window treatments & ceiling fans. The downstairs master BA has a jetted tub, dual vanities & separate shower. The upstairs master has a private vanity area & walk-in attic. 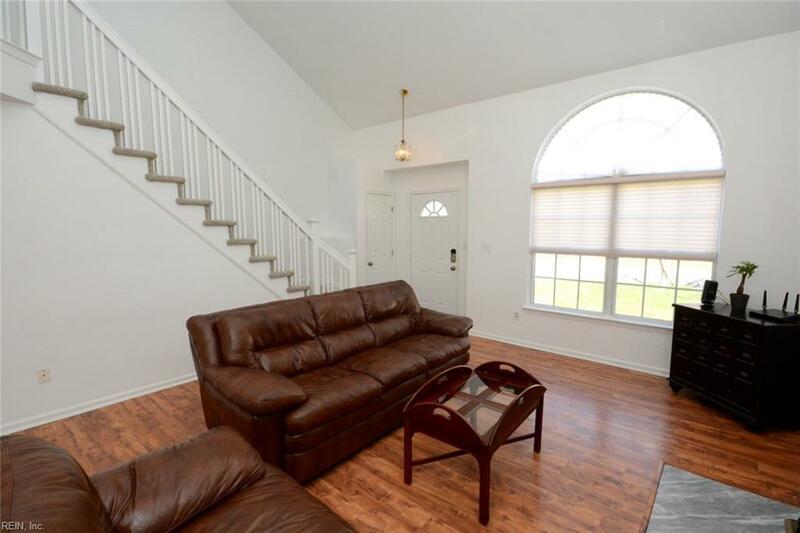 Loft area offers new carpet, ceiling fan, attic storage & could easily be converted to BR #4. Eat-in kitchen w/stainless steel appliances including a 5 burner gas stove. Extra seating at the breakfast bar is open to the dining room & living room w/wood burning FP & laminate floors. 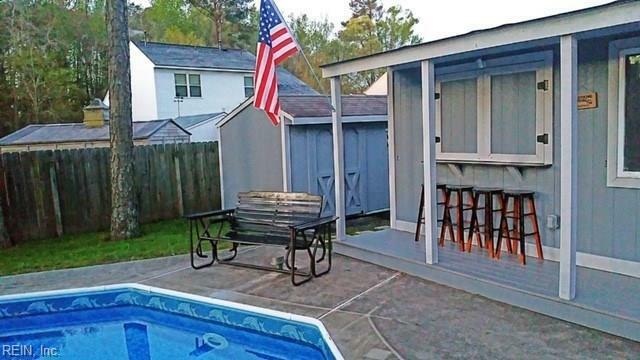 Back yard oasis w/ in-ground salt water pool with new deck plus pool house! Enjoy summer days in the pool and evenings by the fire pit or hanging out at your pool house bar. New roof in 2018 & new AC in 2019. This is a MUST see home close to Oceana & Dam Neck!